Mercantile Mobile » Putting your message in their pocket. 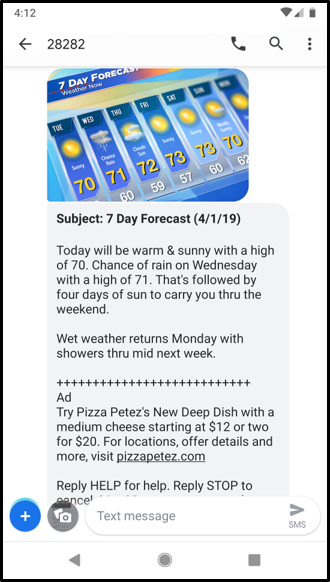 SMS is a strong vehicle for offering coupons, with response rates that are six to eight times higher than for email. Our integrated messaging platform delivers a variety of campaigns that are designed to measurably increase ROI. Whether you sell coffee at the counter, shoes on the shelf or dog food online, we can help. Are you a brand that needs to reach fans in the grocery aisle, launch a new product via mass media or increase brand awareness? Text messaging provides the best engagement of any activation tool available. Need to send breaking news, promote a new show or run a text to win for a sponsor? Our platform will deliver engaging content, increase tune-in, generate revenue for your station or program. We’ve had success with SMS, as well as other tactics. We’re also doing MMS and consumers love it. SMS works great. Delivering images, videos and unlimited copy via MMS works even better! MMS delivers one minute of high quality video. Embedding video within a text means people are more likely to view it when compared to streaming links sent via email/SMS. MMS delivers one image or multiple images. 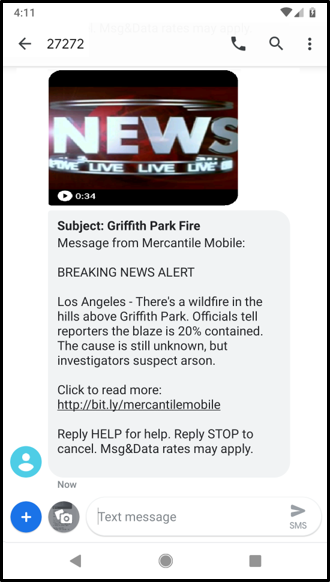 Your other marketing uses imagery, so why not your text alerts? It’s easier to sell a shirt when you can show the shirt. MMS has no character limit, supports an expanded character which means Spanish copy reads correctly and corporate symbols like © and ™ are available. You send a lot of SMS. So do your competitors. Upgrade to MMS and stand out from the crowd. Participation rates are dramatically higher for text messaging than email.